Below is where YOU can build your own page about your own Cape York adventure - and read the stories of the others'. 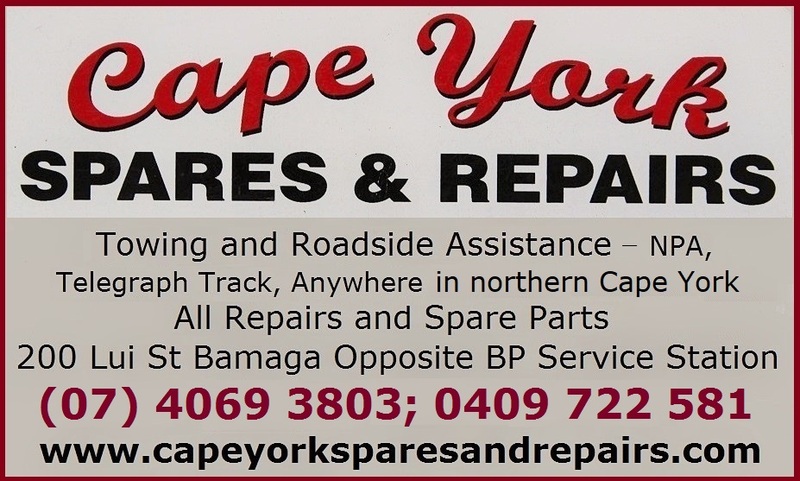 Or do/did you live/work in Cape York? Tell us about YOUR Cape York adventure! or your whole trip, here. Did you go to Cape Melville? Did you go to Weipa and what did you think of it? 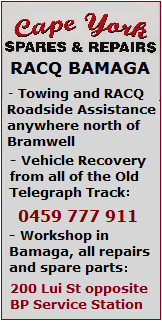 Did you do the the Old Telegraph Track? Tip of Cape York - did you make it? Or .. did you catch a BIG FISH.. !? Do you have Cape York memories from the Old Days? Write them here! Back from Cape York? Or Still on the Adventure? Put up photos, even videos, write about your trip! It's a great way to show your trip for friends and family - just send them the link once the page is ready! If you want to add more than four images or a video(s), contact me and we can do it manually (the system doesn't allow me to do it and I cannot change it). Why Are You Here?" -- "Same Reason You Are! We successfully took our two Rhodesian Ridgebacks with us to the "Tip". Photo of proof. Store owners at Coen did not have their gas delivery / took theirs off their own BBQ and gave us / will return ( full ) on return. Get this 50 pages guide totally for FREE. It contains information that helps you getting started with planning of your trip. You get to make early-stages desicions such as when to go, how long time you should take, how to get there and get around, where to stay (general info), what will it cost.. and a short insight to what is there to see and do in Cape York. If you liked the books or this website, let others know about it! Every link helps other travellers! Don't worry - your email address is totally secure. I use it only to send you the Cape York News. This site uses British English, which is the English we use in Australia. on this website is correct, this site is not to be blamed should there be a mistake. and some photos blurrier than normal, as their new dimensions affect their quality (until they get changed). before the whole site looks good again, but I am gradually working on it as quick as I can.